Today, I hand over my blog to a Burmese columnist with something at heart in these tumultuous times for his country, formerly known as Burma. British Foreign Secretary Boris Johnson during his recent visit to Myanmar, formerly known as Burma. There is usually no harm in reciting lines or verses from your favorite poems. But it can matter what you read, where you read it, and who you are. If you are not careful, you could make a gaffe or insult those around you. Take the British Foreign Secretary Boris Johnson, for example. His impromptu recital was recorded and featured in a documentary on Britain’s Channel 4. In the video, Boris Johnson was interrupted by British ambassador to Myanmar who said “probably not a good idea” and “not appropriate” in a stern voice after reminding the Foreign Secretary he was on microphone. Yes, it is inappropriate and insensitive for Boris Johnson to recite those lines in a country that was colonized by the British from 1824 to 1948. To make matters worse, the person uttering “come you back, you English soldier” was not just an ordinary citizen but the Foreign Secretary from the country that annexed Myanmar through three bloody wars and oppressed local resistance. Referring to the Buddha as the “Great Gawd Budd” at one of the holiest Buddhist sites in the country would have been an act of sacrilege. Who knows why the Foreign Secretary uttered lines from the colonial poem. Probably, he is a great fan of Rudyard Kipling or felt nostalgic for the age of British imperialism. Whatever the case, a British Foreign Secretary’s recitation of the colonial poem in the country where they once colonized is an insult to the country and hurts the feeling of its people. Adding to Myanmar people’s dismay, the release of the video footage coincides with a time when Britain, along with many other countries, has been actively criticizing the Southeast Asian country and its popular leader Daw Aung San Suu Kyi for the country’s treatment of the self-identifying Rohingya issue, which is in face the result of a bad colonial legacy left by the British to Myanmar people. If the British hadn’t encouraged Bengali inhabitants from Bengal Province of India (now Bangladesh) to migrate into the then sparsely populated and fertile valleys of Rakhine in the 1800s, Myanmar today would be in a very different position in the controversial issue. While the British government has been repeatedly criticizing the Lady for her silence on the issue as well as for not doing enough to defend the minority self-identifying Rohingya, St Hugh’s college of Oxford University, where she studied politics, philosophy and economics between 1964 and 1967, removed the painting of the Nobel laureate from its main entrance as the college received the gift of a new painting. It’s questionable why the portrait was taken down amid criticism on Daw Aung San Suu Kyi’s on the issue. On Tuesday, Oxford City Council withdrew an honor granting Aung San Suu Kyi the Freedom of Oxford as it was “no longer appropriate” for her to hold it given to her response to the self-identifying Rohingya issue. Of course it would be annoying for Daw Aung San Suu Kyi to see those kind of responses from the UK, which was in some ways her second home, spending nearly two decades studying and raising a family there with her late British husband. For the majority of the Myanmar people, the actions of Oxford City Council and Oxford University were deliberate insults to the woman whom they have elected as their leader. 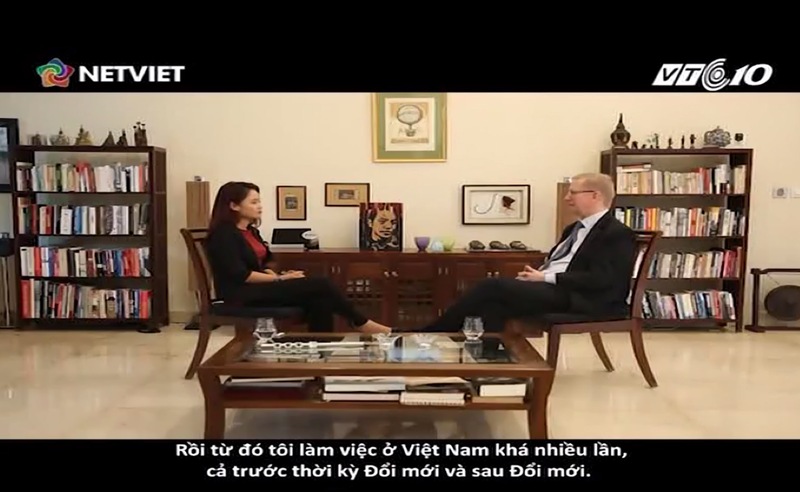 It’s interesting to ask why Britain’s government and civil organizations are united in humiliating Myanmar and its leader unlike many other western countries like the US, which is taking a much more supportive role by offering assistance to implement the recommendations made by the Rakhine State Advisory Commission to help the country tackle an issue spawned by British colonial rule. Is Britain under the mistaken impression that it has the right to bully the country because it once colonized it? Rather than pointing fingers at Myanmar, the British should be mindful that when it comes to the self-identifying Rohingya issue, their forebears were responsible for the encouragement of mass migration from India to Myanmar for cheap farm labor. It should be noted that they did it for the interests of British Empire, especially after the opening of the Suez Canal in 1869 when rice demand was high in Europe. Myanmar had no chance to solve the problem of migration encouraged by Britain under authoritarian rule from 1962 to 2010. The former quasi-civilian government made little success in tackling the issue despite their efforts after 2012. Undaunted, the country’s first democratically elected Daw Aung San Suu Kyi’s government is now trying to fix it amid other problems the country is facing such as bringing peace with ethnic armed groups. Please be aware that Daw Aung San Suu Kyi’s government is just 18 months old. It is very unfair to today’s Myanmar, struggling to cope with the problems the British left behind while being criticized by those responsible who ignored their wrongdoings they did in the country more than a century ago.